Whether you are moving home, office or relocating. Since 2003 Elephant Removals have been a reliable and trusted movers and packers. We are a London moving company. 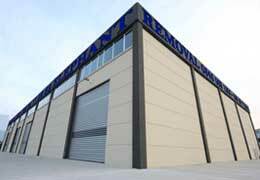 Our Removals and Storage services are tailor-made to your specific needs. House Removal - we will make sure all your household belongings will reach your new home safely. Office Removals - our trusted removers will transport all your professional equipment and your furniture to your desired location. 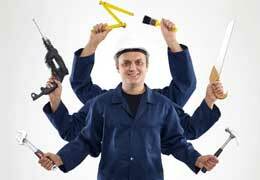 Packing Services - we provide sturdy packing materials. Ensuring all your belongings are securely packed. Ready for our experienced movers or we can provide you with good quality packing materials if you prefer to pack your belongings. Relocation Services - our team our relocation specialists. We will transport your home/office belongings safely to any location in London and across the UK. Furniture transport - we transport all types and sizes of furniture. Collection and Delivery - we are able to collect and deliver any item that you require. Storage - if you need a safe place to store your office/personal belongings due to a gap in your contracts. We are happy to arrange a safe storage space for you. We will collect your items, store them and return them to your desired location on the date you request. International removal company - we offer home and office moving services abroad. Export packing and global shipping. We know that all moves are not planned. We can accommodate last-minute moves. Call us or fill in our online form for a free no obligation quote to book your last-minute move. Our dedicated team is able to assist with removals and logistics of all sizes across the UK and Worldwide. Our moving company offers competitive prices for our House/home removals. Office removals, Relocation services, Haulage services, Furniture Transportation, Storage, Collection and Delivery. Our customer feedback gives you the peace of mind so you can sit back, relax and leave the shifting home to us. If you have a few items that you need to move, hire a man with a van, our driver will come and give you a hand. He will take your belongings to your desired address. No job is too small for us. We work flexible hours and have overnight availability to accommodate all your requirements. Our removal company covers a wide area across the UK. We are fully insured. All our vans are GPS equipped to ensure that your move is a smooth one. We offer huge discounts and have no hidden fees. Complete our online ‘Call back form’, with the relevant details. We will call you back to discuss your requirements. Once you decide to book, our expert movers will be on their way to carry out your property relocation. For hassle-free Move and complete peace of mind, look no further, let the professionals do the hard work, call us Now. We will take all the stress out of moving, the job isn’t finished until you are happy :) Experience the reliable Difference with Elephant Removals! Elephant Removals also has a team of house removal professionals proud of offering the highest standards in domestic house removals. 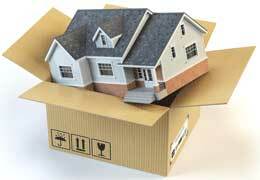 Moving home could not be simpler! Whether it’s a flat removal, household moves or just furniture, call our expert movers and packers, and then relax. Don’t break your back – let our experts at our London removal company take care of your property and relocation needs within the UK and Worldwide. Whether its cardboard moving boxes for storage or full moving kits for property removals, we can supply our branded wide range of top quality packaging materials for big or small moves – delivered as and when you need. All our removal boxes and moving supplies are brand new, assured, fresh, clean and bug free. For all your packing supplies, contact us now for a free instant quote! Office relocating can be an extremely stressing experience! With your staff concentrating on their own work, it’s necessary to arrange an expert office removals company in London. We are specialists who not only transport the furniture, but also provide a complete bespoke pack and move solution for anywhere within the UK or Worldwide. Contact us now for a free office removal estimate. Elephant Removals are able to provide fast and reliable packing services of all levels. We can simply provide top quality packing materials to those who wish to pack their own belongings, but we also can take care of all packing and unpacking should you wish – freeing up time for you to focus on other aspects of moving. Experience the difference with dependable services at reasonable prices. We offer a range of Removals and Storage solutions to ensure that we have all covered. Whether it is self-storage, containerised storage, household storage, business storage or student storage. Storage available, at short notice for when crises happen, we’ve got you covered! Hire Removal Van with a strong gentleman for your House Move. Our man and van services are designed for those who need to move either a few things or a sizeable Move. Fully equipped to load, secure, transport, unload and place each item in designated areas. Student and Moving to England to study in London? Moving to London for studies is an exciting experience especially for any international relocating students. Moving Pupils to their universities and student halls with affordable service is ideal for academics and small studio mini moves. Transporting property is what we do and strive for best haulage results. A licensed and authorised junk removal and disposal service by Elephant Removals London. 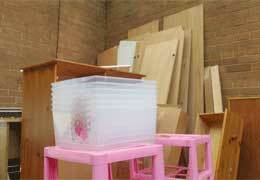 A safe decluttering service for old unwanted Furniture, Garden, Garage and Shed. Clearance is the perfect way to reclaim your home or office space, organise and relax. Use strategies to keep tidy and enjoy a clutter-free property. As we all believe that in a new dwelling’s final touches make a significant difference in stamping your mark and turn your new house into a desirable home. If your removals has taken its toll and need assistance over those frustrating little odd tasks, our Handyman service can come in handy. First of all, and most importantly the safety of your goods and property are Elephant Removals’ utmost priority. For best hassle-free experience with your house removals, our Removals company adjusts to 24/7 relocation service to enable flexibility as a further advantage. This is so that you can relax and perhaps get on with more vital work whilst your home removals company concentrates on your move. Don't break your back and stuff, let the professional Movers and Packers pack and unpack to guarantee 100% satisfactory results. Our moving vans and removal trucks are equipped with SatNav GPS system to make sure fast and safe route is used for your peace of mind. Elephant Removals can guarantee that our staff are not taking unnecessary breaks or deception en-route and billing you on your hourly rate. All house removal services are carried out by domestic move professionals whilst all Office Moves are executed by Business Relocation Specialists team. Everything is taken care even at the delivery property, each furniture and box will be placed into rooms and areas you specify, hassle-free. For the delivery of quick and safe removals, with an advance notice, our moving crew also carries power-tools to dismantle and rebuild bulky furniture. Read Direct Customer Feedback to know what clients are really saying! Apply online for a Free No Obligation written quick Moving Quotation and Save an Extra 10%. Hire Skilled House Movers from one of the Best Removal Company London and enjoy a stress-free removal service. Unlike many cheap moving companies in London, we carry out professional and hassle-free fully insured domestic removal services unmatched in the removals and storage industry. Remember, cheaper is not always the cheapest and best value removals when it comes to issues.